"Ascot Real Estate have been using Charm City for over 10 years! We have always been impressed at the service & high quality of work provided…"
"My husband and I have used Charm City Carpet Care and Pest Control at both our home and our business for years. I would and DO recommend them to anyone!!" 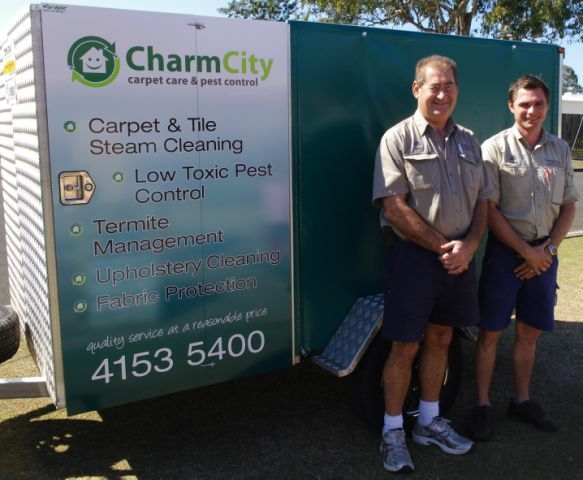 Charm City Carpet Care & Pest Control Bundaberg, home of the Australian made Boss 500 "Hot Vapour” Steam Cleaning System. 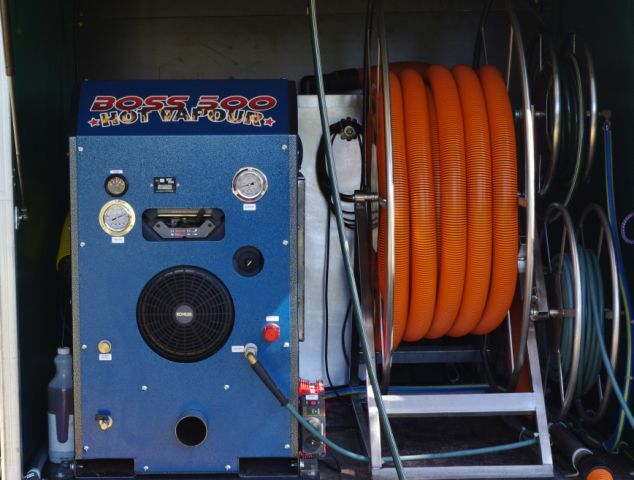 We have the most up to date cleaning process on the market to ensure your carpets are left hygienically clean & fresh. Our licensed technicians also provide all your pest control needs Whether it’s your standard silverfish and cockroach spray or more serious problems with fleas/ redback spiders/ rodents and ant infestations. We regularly update our knowledge & products to offer our customers the best possible service. Termite management is also a major part of our service & Laurie is a licensed operator providing a thorough inspection & management process, so if your home is under attack by these tiny homewreckers, you can have peace of mind that they will be stopped in their tracks. If rental move out services are required we offer package deals on Carpet cleaning, flea treatments & pest control services. © 2011, Charm City Carpet Care and Pest Control, All Rights Reserved.